Sometimes you just want to add a little whimsy. 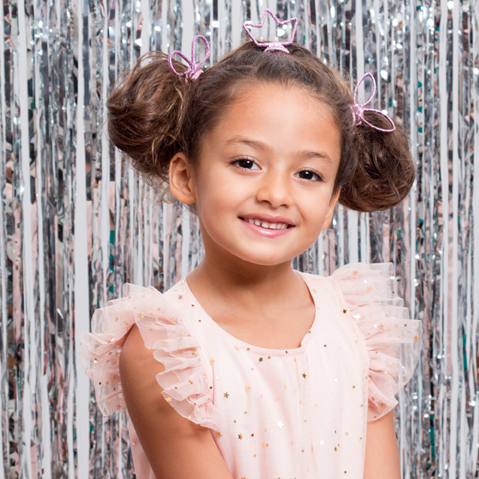 Tie up your pigtails with a couple of these glittering hairbands and you’ll be feeling footloose, fancy-free...and fabulous! 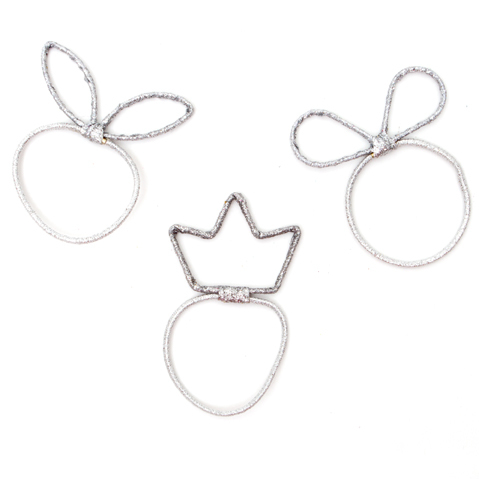 Each set of three includes a crown, bow, and bunny-ears. 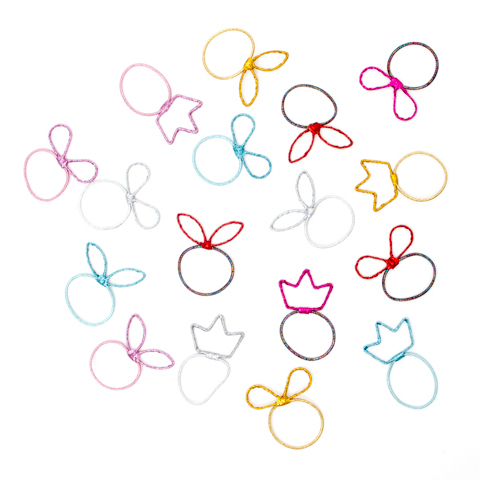 Available in: Gold, Silver, Ruby, Rose, Magenta, and Turquoise.